If you’re in the market for an iPad stand where minimalist design is married-up with machine-crafted aluminum and super-powerful neodymium magnets, then look no further than the Magnus from Ten One Design. 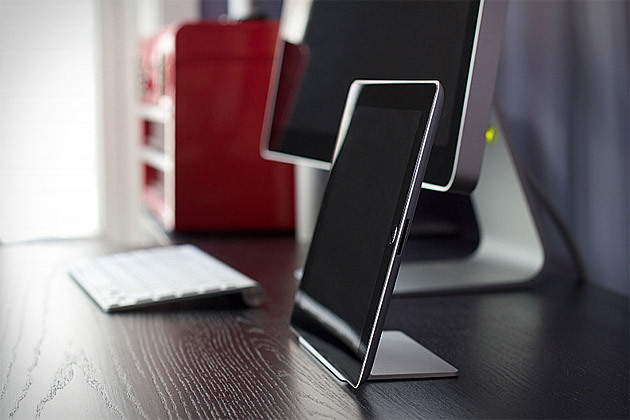 Designed with both aesthetics and functionality in mind, the Magnus holds your iPad 2 at the optimum viewing angle while hiding any sign of the stand from sight. With no-slip rubberized feet to keep a firm hold on your desk and hand-finishing that matches the brushed of the iPad, the Magnus is a stand-out in a crowded market.